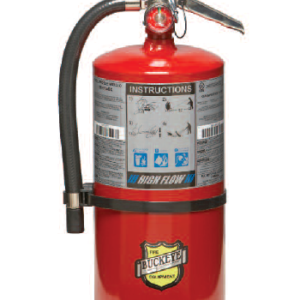 2.5Flb V/B Extinguisher - SOS Safety International Inc.
Halotron is a clean, non conductive gaseous agent that is an excellent replacement for Halon 1211 extinguishers. 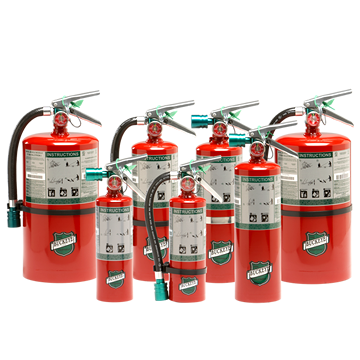 Halotron is suitable for use on Class A, Class B and Class C fires. 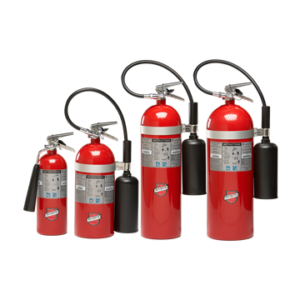 Typical Uses: For protecting sensitive electronic equipment in offices, classrooms, churches, parking garages, and hotel/ motel assembly halls and guest areas. 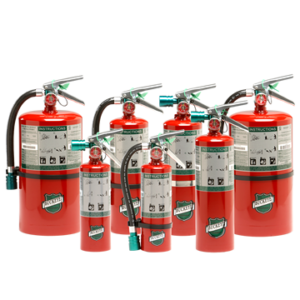 For protecting sensitive electronic equipment in businesses such as retail stores, light manufacturing facilities, research facilities, auto dealerships, vehicle/aircraft/marine service centers, and manufacturing processes such as painting, dipping, and coating. Recommended for use on sensitive electronic equipment.